Are you planning a vacation and not sure where to go, or where to stay? 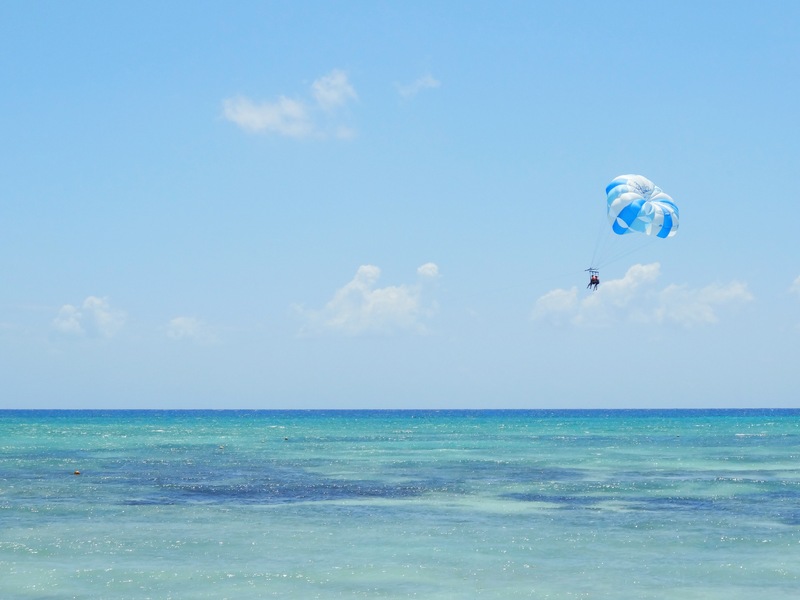 I recently took a trip to Playa Del Carmen, Mexico, let me tell you all about it! You should never have to prove a reason why you deserve to go on vacation, or take a little trip away from reality. However, there is a little back story as to why I packed up my suitcase with Mr. Marzipan for a solid 7 nights away. The original plan was to go to China to attend a wedding we had been invited to, we had a mini-trip around China planned in the midst of the wedding event. Unfortunately, it boiled down to the fact that the trip was going to cost an arm and a leg for both of us. Because Mr Marzipan had booked time off work, and couldn’t take it back, we planned a trip to Mexico instead. We got in touch with our Travel Advisor Anna from Flight Centre in Flight Centre Bloor Street (I will leave her details below, she is amazing!) and we let her know what we were looking for. Of course Anna sent us a pretty decent list of places she recommended. As usual, I scouted the internet for reviews and pictures of each individual place. 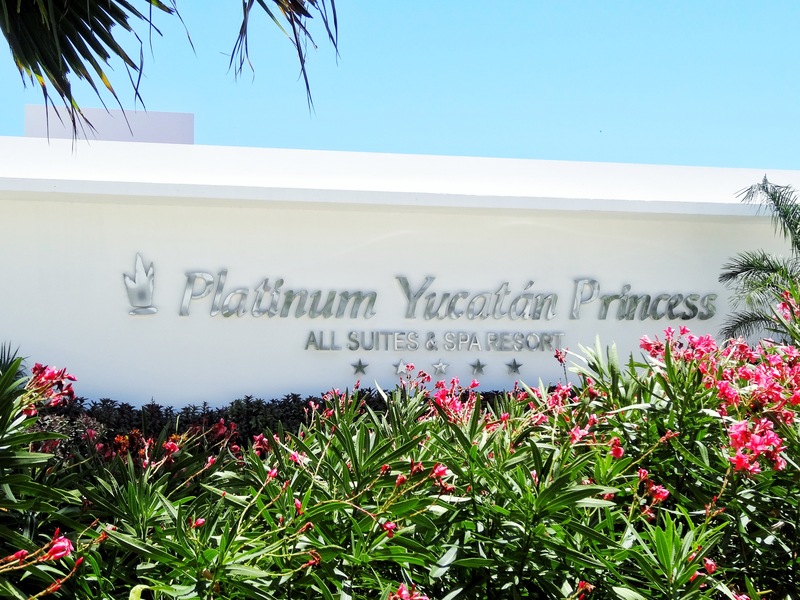 After hours/days of research we decided we would go for Platinum Yucatan Princess All Suites & Spa Resort. My experience booking with Flight Centre was, as always, very accommodating and easy. Our trip was booked with Sunwing, which is an all-inclusive holiday destination company. We had booked with Sunwing also for our trip to Cuba back in December 2016. After coming off the flight, the hotel was approximately 45 minutes drive away. The ground of the resort is shared with two other Princess resorts, The Grand Riviera & The Grand Sunset, which are family friendly; and because we were in Platinum, we had access to all these surrounding resorts. This was really handy when a change of scenery was needed. Upon arrival to our resort, it was around 10pm. I was seriously impressed when I arrived. The resort was beautifully lit up and the grounds were clean and well looked after. The decor in the lobby was gorgeous and we were greeted with welcome drinks (which were awful, not even sure what it was! Tequila and orange juice?? wtf). When we checked in there were a few people ahead of us so we were waiting, patiently. We could over-hear the people in front of us looking for an upgrade, complaining about their room location and they wanted this and they wanted that. I couldn’t believe it! Just get your room key and be happy with it.. We just wanted to get to our room and relax! I’m not sure why people don’t pay for the room they want when booking instead of hoping to bully the reception into upgrading them.. I know for sure the “honeymoon” couple didn’t get an upgrade, not sure about the other two checking in before us. But the big song and dance was uncalled for at that time of night. People. When it got to our turn, we said we would be super nice, compliant and happy with what we get. And you know what? WE GOT UPGRADED! We literally did not (I swear) insinuate we were on honeymoon, getting engaged, or blatantly ask for more, they just gave it to us! We were absolutely thrilled! We were originally booked into a regular room, our upgrade was to a room with jacuzzi and large balcony (que sunbathing), we were over the moon! Our room was located in building four on the third floor. My first impression was that the key card worked first attempt woohoo!.. When we first opened the door, there was a mild odour of maybe damp? I’m not sure what the smell was but it disappeared after being in the room for five minutes. Other than that, I was impressed. There was a bottle of champagne waiting for us, fully stocked mini-bar with beer, rum, vodka and of course tequila. The room was clean, very clean and lined in luxurious marble tiles. There was a bath, dual waterfall showers, two vanities, large screen tv, couch, safe, robes, slippers and everything else that’s needed in a room. The balcony was large, with two lounge chairs, two regular chairs and of course the glorified jacuzzi! We thought the air conditioning wasn’t working. We kept playing around with it trying to get it going, but it wouldn’t turn on. We were boiling! We thought, maybe that’s why we got the upgrade, because the air-con didn’t work!? We called reception and they sent a technician.. He didn’t know what was wrong with it either. He disappeared saying he will be back soon to fix. By the time he had returned (with tool box in hand) we had figured out that the balcony doors weren’t aligned properly for the air-con to switch on. Room service was 24hr service and there was a menu in our room. You could get snacks like burgers, pizzas and hotdogs. We ordered twice to our room. It takes about 30 minutes to arrive. But it is perfect especially if you are after arriving late, or suffering from jet lag and need something to eat in the middle of the night. A great service! “Yucatan” is a 24hr restaurant, which also cater for the breakfast, lunch and dinner buffet. There is a different theme every night for dinner – Thursday is lobster night! This restaurant is definitely the one we visited most frequently. I have no complaints about the food. I got to try so many different types of foods I had never tried in my life. They had lots of mexican food to try out too. It was all really tasty and always a good selection to choose from. To whoever creates the fruit sculptures, you are very talented and your work did not go unnoticed by me! There were a few other restaurants that were only open for dinner. There’s Rodeo, Aroma, Tao, and Bruschetta. We never got to Tao, which is asian cuisine. However, we dined in the other three restaurants and they were phenomenal. I really was not expecting the food to be so delicious. I think my favourite was Rodeo, I got to try new mexican food I had never experienced before. We had planned that we would do some day trips perhaps two out of the seven days. That didn’t happen.. we really loved the resort that much!.. and possibly because the Nexus representatives were not overly nice. 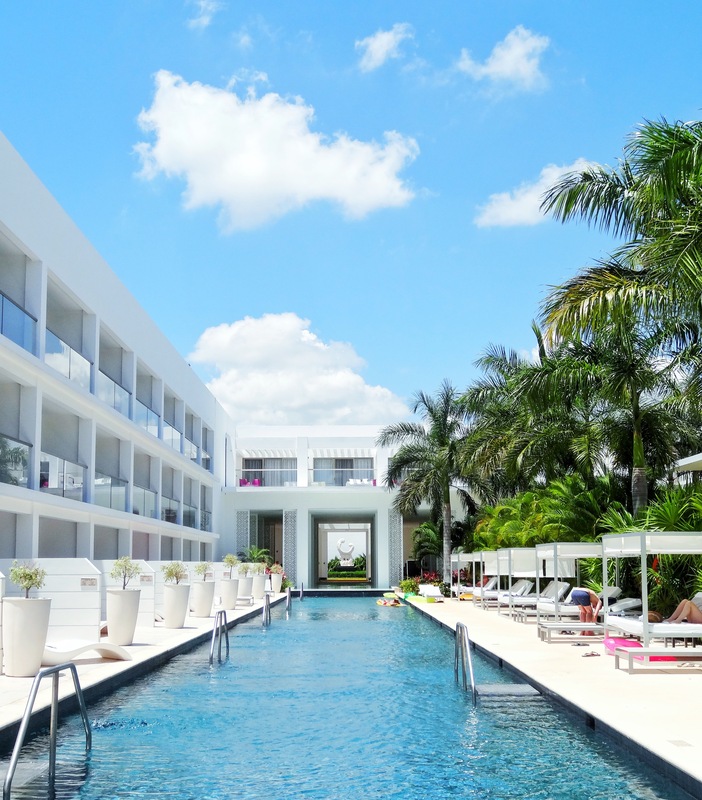 Anyway, they didn’t get our business, we were happier to relax all day and give the servers tips for delivering our drinks to our pool-side cabana instead of splurging on a day trip. It was a pretty solid seven days of chilling out. The beach was really nice. There were many lounge chairs on the beach but our favourite was the cabana’s by the platinum pool. Keep walking along the beach and you will go outside the resort area. Here is where you’ll be pestered for getting a massage and going on day trips. These seemed to be cheaper in price than in the resort. I did not avail of any of these services. The resort has a Spa and it looked really nice. There was an offer on our key card for a 50% off service within the first 24hrs of your stay. I didn’t avail of this offer or didn’t go to the Spa so unfortunately I can’t make a review of this aspect of the resort. There were many activities happening within the resort every day. If you were into it, you could be busy for the week. There was dance classes, guacamole making, spanish lessons, lots of sports and much more! The Sports Park was great, There was plenty to do there! One of the days I did a shooting activity, and I played baseball in the batting cages for the first time. The Sports Park does seem to be the most neglected part of the resort maintenance-wise. The cement on the paths were uneven and had pot holes in places. It seemed just a tad unloved compared to the immaculate state of the rest of the resort, but it was still a great facility. The staff at the resort were all really lovely. The bar staff are really well-trained doing flips and tricks with the drinks before serving them. The alcohol was detectable in the drinks, which was great. They were using alcohol I recognised and not a cheaper alternative, like Bailey’s and Captain Morgans to name a few. The cocktails were to die for! There were events every evening and performance shows in the theatre every night. The staff are extremely talented and you can tell they all love working there. There is something to do every single day. 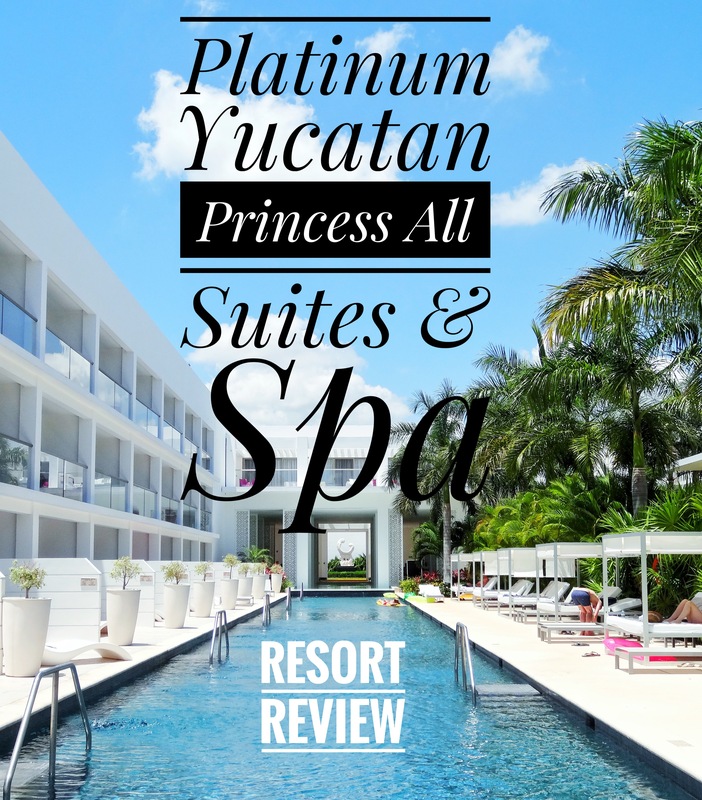 I absolutely loved my time spent at Platinum Yucatan Princess All Suites & Spa Resort . I was in Cuba a few months earlier in December 2016 and that was my first all-inclusive holiday. I was constantly comparing Mexico to Cuba. Mexico wins by miles and it’s definitely down to choosing this resort. 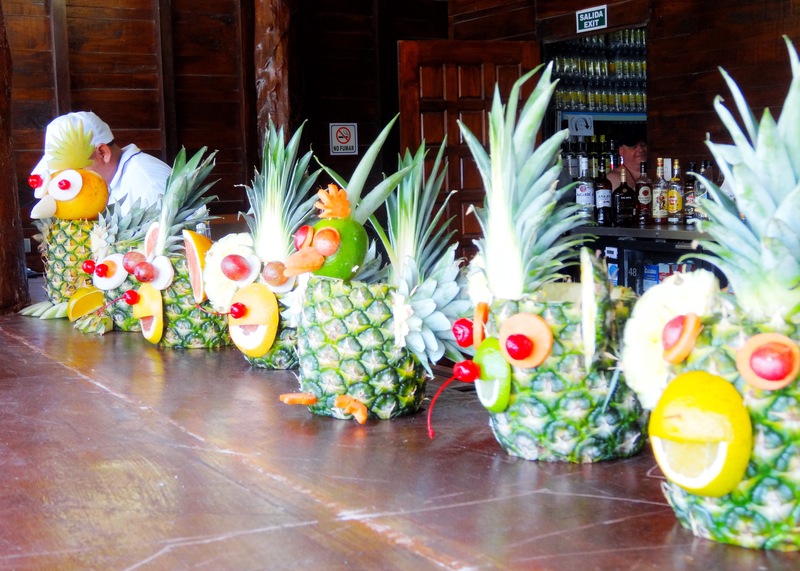 The resort is adult-only which is fabulous, however you will get the odd adult acting like children.. So beware! 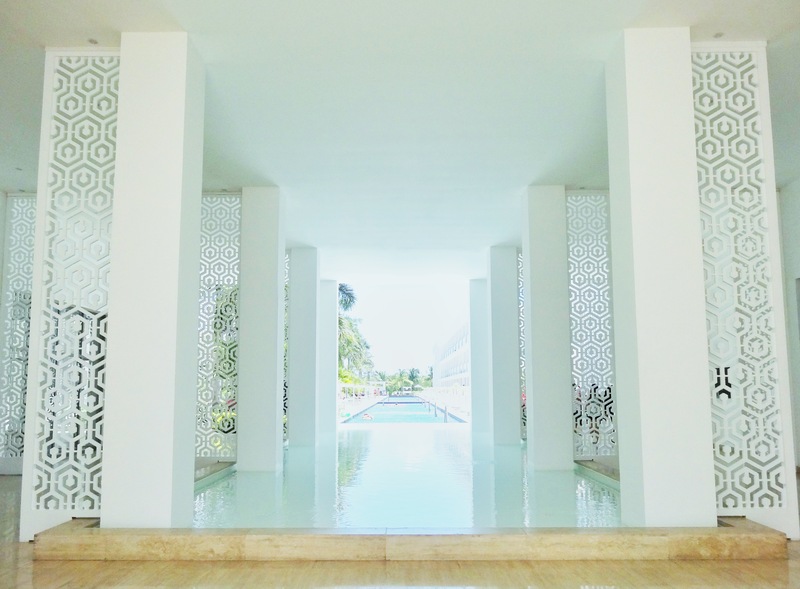 I would highly recommend this resort to anyone going to Mexico for the first time. 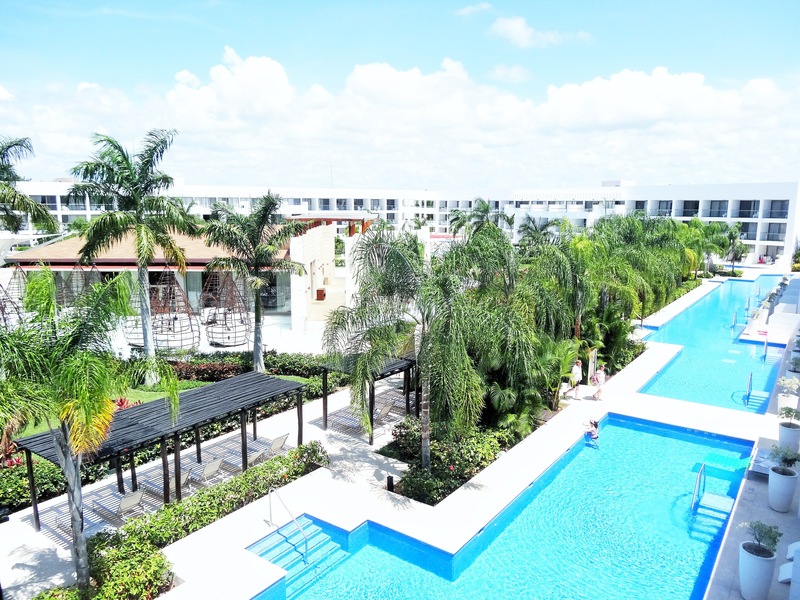 It was my first time in mexico, so I don’t have anything else to compare it to but I absolutely loved everything about Platinum Yucatan. Please let me know if you have thought about coming here, or have been here before. If you have any questions, leave them in the comment box below and I am happy to answer all your queries. I have a rule, I will never go back to the same place twice, but I do highly recommend to everyone to stay at this resort! I hope you enjoyed my review! I love doing reviews like this, I hope it has helped you in making a decision about your next vacation. Thank you for reading. I recommend bringing US dollars for tipping. We had Mexican Paesos and it was hard to get smaller change at the resort. PS. Yes we made use of our upgrade and used the jacuzzi and the balcony for sun bathing. It was a fabulous treat and thank you again to Platinum Yucatan for the very sweet upgrade. Sounds like a fabulous place to go. Great review. As I mentioned to you on Facebook, this is one of the resorts that we always consider when we are looking and your review has me itching to book a vacation there! Weird question, but do you have any photos of the cocktails? I don’t even really care about the alcohol in them but I like a good, mixed cocktail. Did they have the typical frozen slushy type machine where they pour the mix (ie. Strawberry Daiquiri) then put the alcohol on top, or did they hand make it all? Hey Janine, Thanks for your comment. I can’t find any pictures saved of the drinks. However, they are not made in a slush machine. They make all the drinks from scratch. Sometimes they are in a fancy tall glass, other times you will get a plastic cup. You’re review was awesome and extremely helpful!! I’ve actually been to Mexico 4 times now and this resort looks so promising! My bf and I are headed there from Toronto in June! Any trick or advice on upgrading to the jacuzzi room? 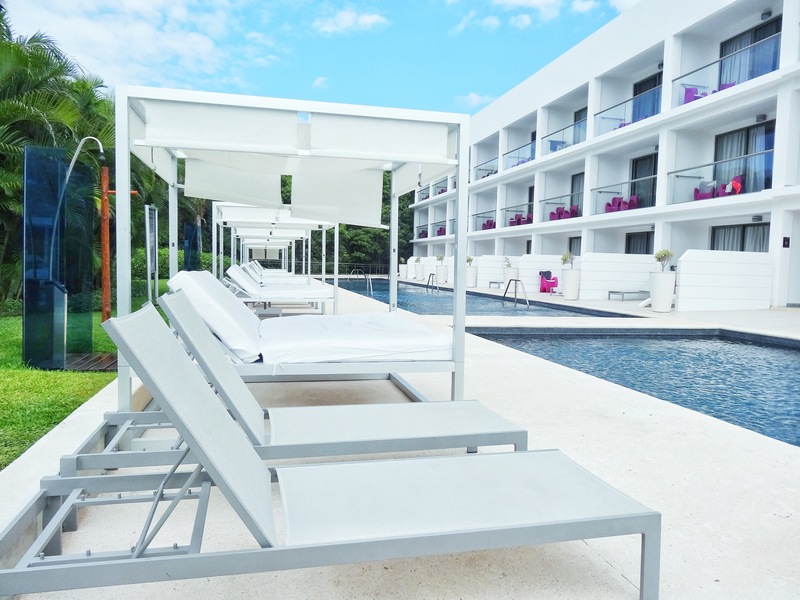 I was just in Playa Del Carmen in January but we I did an Airbnb rather than a resort. After reading this, I definitely wish I did a resort instead. So happy to read this! 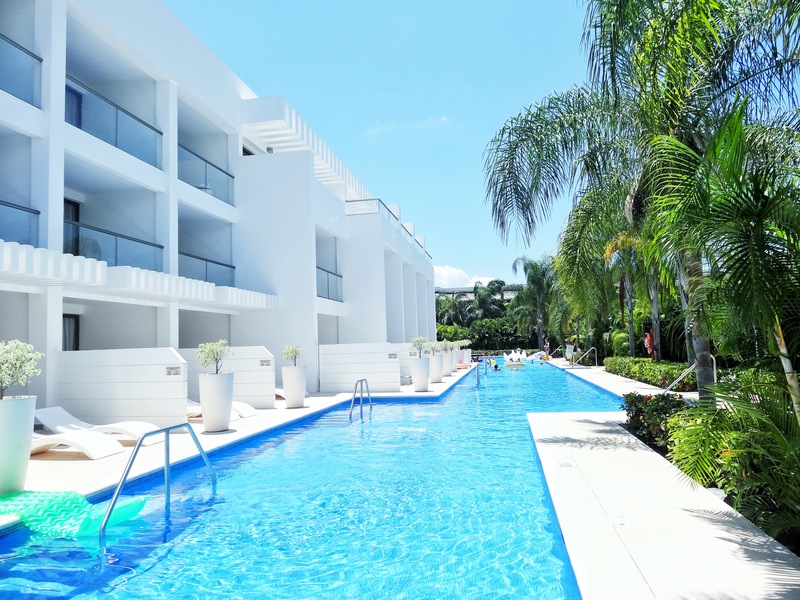 We are headed there in January, we booked the deluxe swimout but not the platinum upgrade, do you think we will notice a difference or that we can’t access as much? (Wondering if we should upgrade to the platinum swim out) thanks for the thorough review! Yay! I’m delighted you found my post helpful! The platinums are closer to the beach and buffet area and the deluxe are closer to the party pool.. both platinum and deluxe areas are within close proximity to each other.. we were in deluxe but preferred the vibe of the platinum so we were still able to chill out in the platinum area whenever we wanted which was kinda the best of both worlds! I think if your easy going, save your money with deluxe and treat yourself instead 😉 I hope you have an amazing time!!! My spouse and I are travelling here in January and I was so happy to come across your review! I am always skeptical about food when travelling and this review definitely put me at ease! I am also excited about your mentioning of the amount of activities going on that you didn’t even need to book excursions! My spouse is a busy-bee and he always likes to be active so I am excited that there seems to be a lot of activities and events!